The concept of the one day store began in 1993 in Green Bay, Wisconsin, sponsored by the Service League of Green Bay. In August 2001, NCJW brought the Back to School! Store to St. Louis, inaugurating this annual event by providing 200 children in the St. Louis area with new clothing, shoes, and school supplies, helping them start the school year off with enthusiasm and positive self-esteem. In its 16 years, the Back to School! 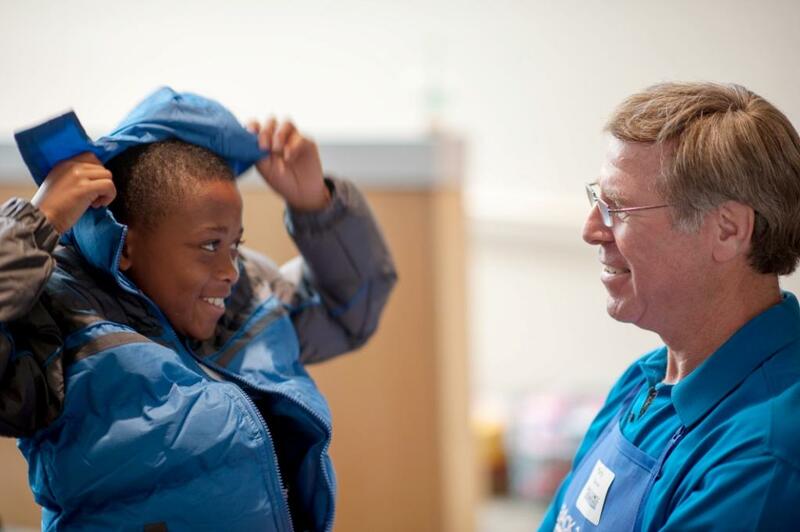 Store has assisted over 11,000 elementary school children from low-income families in the St. Louis area. Invitations to participate are sent to qualifying children whose needs are not being met by existing services. To ensure that we have everything we need for the invited children, the Back to School! Store is an invitation-only event. Over 45 social service agencies, churches and community service organizations help select the qualifying children. The first two Kids Community Closets were installed in 2008. This project was created to allow NCJW to serve hundreds of additional children throughout the school year. KCC provides new clothing, uniforms, underwear, and outerwear to children in need at their schools. Students who are identified by teachers, administrators, or social workers to be in need of specific clothing on any given day are given this item in a discreet manner. In addition, parents and guardians receive a notification card indicating the item was provided by the Kids Community Closet. Today, we have opened 23 closets throughout St. Louis. In 2017, we will serve over 1,300 children in the one day store and over 5000 throughout the year through Kids Community Closets.